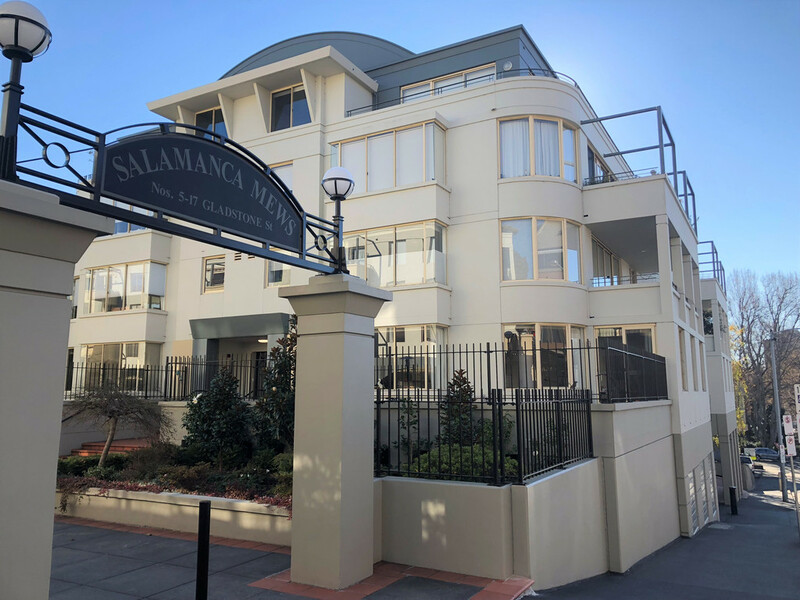 Located in the highly sought after complex Salamanca Mews, this 2 bedroom apartment is sure to impress tenants looking for inner city living. Walking distance to the city and all local amenities. Boasting a spacious open plan living areas and a sweeping terrace, plus has 2 designated undercover security accessed car parks. This property also provides all white goods, built in mirror fronted robes in each bedroom, the master with ensuite bathroom. Strictly no pets. Available for a long lease. Contact the agent to arrange a viewing.